This new Crimson driver adds support for Deus Ex: Mankind Divided and Battlefield 1 Beta. A random blank or colored screen may be experienced intermittently on some Radeon RX 400 series products while gaming. Grand Theft Auto V may experience an application hang on Radeon RX 400 Series Graphics when playing at 4K resolution in story mode. Ark Survival Evolved may experience an error message when trying to launch the game in some configurations. DOTA2 may experience an application hang when using the Vulkan API and changing resolution or game/quality settings. Corruption may be experienced in Rise of the Tomb Raider using the DirectX12 API on some Hybrid Graphics configurations when performing a task switch. Battlefield 4 may experience intermittent crashes when using Mantle. As a work around users are suggested to switch to DirectX11. Radeon Pro Duo may experience a black screen in Total War: Warhammer with the games API set to DirectX12 and V-Sync enabled. World of Tanks may experience stuttering after performing a task switch in AMD CrossFire mode. Rocket League may experience flickering when in AMD CrossFire mode. Ashes of the Singularity may experience an application crash with "crazy" in game settings and Multi-GPU enabled. Radeon Software Crimson Edition 16.8.3 Driver Version 16.30.2511.1003. Note: This driver is not intended for use on AMD Radeon products running in Apple Boot Camp platforms. Users of these platforms should contact their system manufacturer for driver support. When installing Radeon Software Crimson Edition 16.8.3 for the Windows® operating system, the user must be logged on as Administrator, or have Administrator rights to complete the installation of Radeon Software Crimson Edition 16.8.3. Radeon Software Crimson Edition 16.8.3 requires Windows 7 Service Pack 1 to be installed. This driver is not intended for use on AMD products running in Apple Boot Camp platforms. Users of these platforms should contact their system manufacturer for driver support. When installing the AMD Radeon Software Crimson Edition Hotfix Driver for the Windows operating system, the user must be logged on as Administrator, or have Administrator rights to complete the installation of the AMD Radeon Software Crimson Edition Hotfix Driver. The AMD Radeon Software Crimson Edition Hotfix Driver requires Windows 7 Service Pack 1 to be installed. 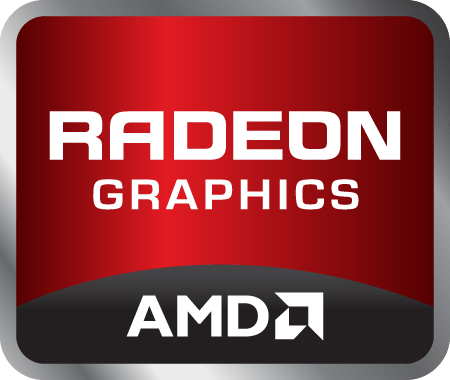 AMD APU series codenamed "Kaveri", "Godavari" and "Carrizo" are only supported by AMD Radeon Software Crimson Edition on Windows 7 (32 & 64-bit), Windows 8.1 (64-bit) and Windows 10 (64-bit).